The Austrian brand vegini is launching three new vegan snack products for the to-go segment in April, just in time for the beginning of spring. The products come as mini balls in three flavours in a practical cup, with paprika or BBQ dip sauce and a small fork in the lid. The new products include spicy paprika balls, tasty classic balls and savoury mini meatballs. They can all be eaten hot or cold, making them ideal for travel, work, school or university. “No matter when, no matter where. 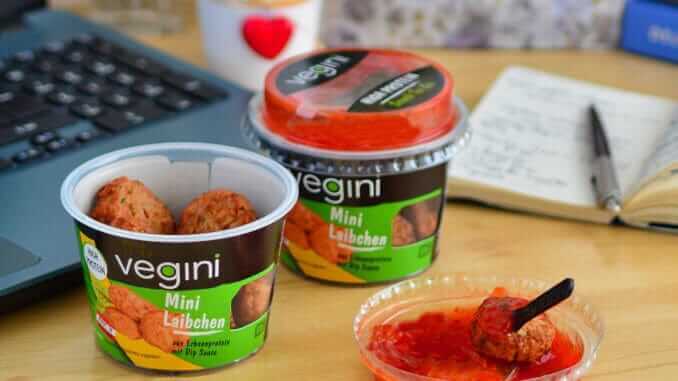 Open, dip & enjoy,” is the slogan for these products, with which vegini is responding to booming demand in the to-go area. “There is still a lot of catching up to do when it comes to alternative protein sources in the to-go sector, which we want to satisfy with our products in order to offer consumers more variety in this area,” says Lukas Wischenbart, Head of Marketing at VeggieMeat GmbH. Like all vegini products, the to-go snack products are made from pea protein with no added preservatives or flavour enhancers. With a protein content of almost 20%, the snacks are a healthy alternative for in between meals which can be enjoyed without a guilty conscience. Free from soya, lactose and gluten, the products are suitable for almost all types of diet. vegini continues to work on developing new products, and will be presenting a number of innovations in the spring.